Let’s Go With The Flow!!! 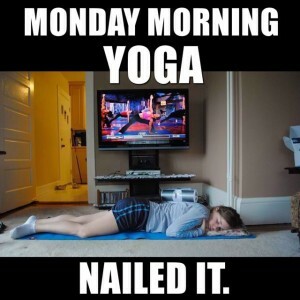 This is Classic Hatha week at YFL, and Deb’s practice will emphasize “Vinyasa Flow”, or “Let’s Go with the Flow”!!! Our Sanskrit focus is the term “Vinyasa”, which means literally to “place in a special way”. It is a fluid linking of one asana to the next, much like a dance. Our Mudra focus for this week is the “Prithivi” or “Earth Hand Gesture”, which balances the root chakra, and increases our sense of being grounded and connection. Our meditation focus is “Connection”, and is set to David Lanz’s “Blue Largo” music. A reminder that we have a wonderful special event coming in May!!! Sandi Kimmel is hosting a two hour workshop on the healing powers of sound through chanting. She has titled her event “An EnCHANTing Workshop”!!! It is being offered at YFL on 5/20 from 1-3 p.m. at a bargain price of $15 pre-pay, and $20 at the door. Sandi will also have available her CDs for purchase. Please call or email to sign-up, or register at the studio!!! This entry was posted in Uncategorized on April 24, 2017 by Deb Potts. Greetings Yogis and Yoginis!!! Welcome Back to the Wall is this week’s practice theme!!! We will refine our alignment, power, and strength with “The Wall” as our key prop of the practice. Our mudra focus or hand gesture is the “Ganesha” for removing obstacles along life’s path. Our Sanskrit focus is “SHREE GUM NAMAH”, or “My limitless awareness overcomes all obstacles”. We hope you ALL had wonderful Spring Breaks, and Easter celebrations, and look forward to having you back on the mat with some regularity!!! Kim will be hosting Mommy & Me yoga tomorrow from 11 a.m.-Noon for Moms, Grandmoms, Aunts and babies to 4 year olds. The cost is $10 for one child, or $15 for two. Please call to pre-register at the studio. In May we welcome Sandi Kimmel for her two hour Kirtan Workshop on the healing power of music and sound. She will be hosting her EnCHANTing presentation on Saturday, May 20th, from 1-3 p.m. The cost is $15 prepay, or $20 at the door. This entry was posted in Uncategorized on April 16, 2017 by Deb Potts. Triple “R” Week is Back!! !—Restore, Renew, and Relax!!! Greetings from YFL!!! 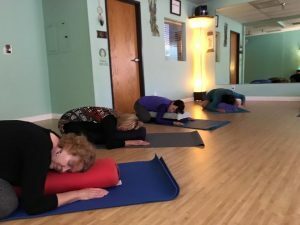 We worked very hard last week with body weight bearing and hand weight bearing, so this week we will counter with a deep, gentle, restorative form of yoga practice!!! Our Sanskrit focus is “AGNI”, or our internal, purifying fire…the heat, light, and energy that burns through illusion, and leads us to self-knowledge, and ultimate Truth. Our Mudra focus is the “PRAN”. This is the hand gesture for inner energy to improve our vitality and vision. Our meditation focus is “SERENITY”, and is set to the music of Tom Barabas’ “Sedona Suites” “Nuages”. The EnCHANTing workshop has been moved to May 20th, from 1-3 p.m. The cost is $15 pre-pay, or $20 at the door. Yoga For Life will be CLOSED 4/14-4/16, in observance of the Easter Holiday weekend. Classes will resume their regular schedule on Monday, 4/17. Have a blessed holiday with your family and friends!!! This entry was posted in Uncategorized on April 10, 2017 by Deb Potts. Yes, we have made it to another “Weight Week”, so “weigh” to get stronger!!! 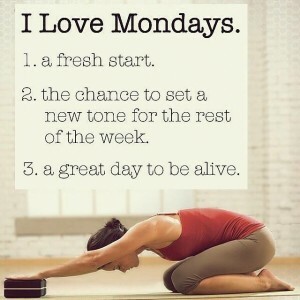 It is going to be another fantastic week at Yoga For Life!!! Strength, toning, and sculpting will be the physical focus for our practice. Our Sanskrit focus is “SAT”, or our “Being”, “reality”, “truth”, “essence”, “soul”, “the best”. It is our self conductor of everything. Our mudra focus will be “PUSHAN”, or a hand gesture for connection to nourishment from the energy of the sun. 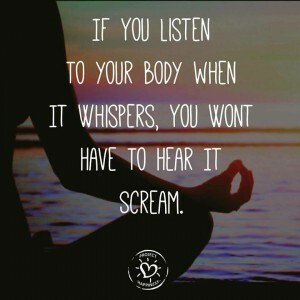 Your meditation focus is “ENERGY”, and set to Michael Hoppe’s music entitled “Silence”. We have a wonderful Special Event this Saturday, from 1-3 p.m., with Sandi Kimmel, and her EnCHANTing Kirtan workshop!!! This entry was posted in Uncategorized on April 3, 2017 by Deb Potts.